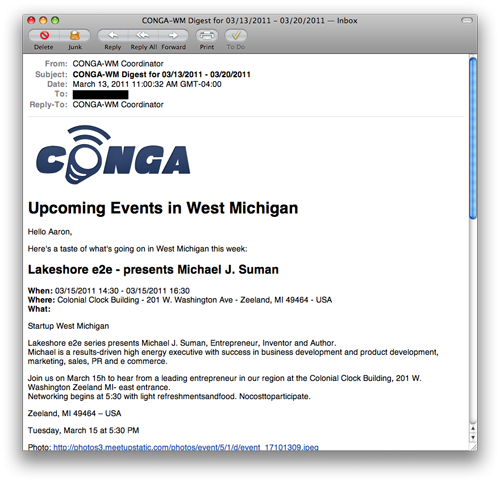 Today was our first (automated) email that got sent out from the CONGA calendar. We’re excited that it worked so well and thought we would show it off for those that may not already be signed up. HAT TIP: A big thanks to Mike Swieton from Atomic Object and SoftwareGR for scripting this up.